... and we can guarantee that this year, it won't be. You will have undoubtedly heard about our all-Italian Culinary Team, led by Executive Chef Giuseppe Puglisi, and their reputation is most probably what has led you to this very page. But this Valentine's Day, our Culinary Team do not intend to stay hidden behind closed doors. They will be bringing their expertise directly to your table, as you watch them prepare your preferred dish right before your eyes. 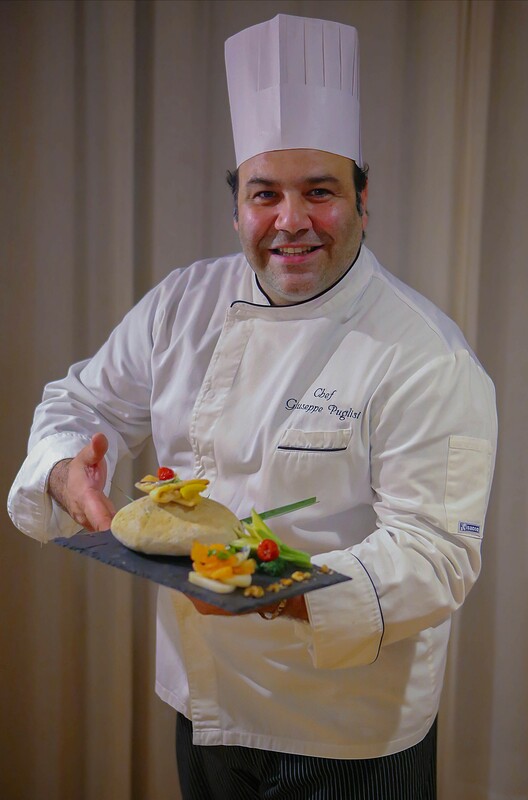 Executive Chef Puglisi has taken the liberty of designing a menu with the Night's special theme in mind. All your significant other and yourself have to do is place your order, sit back, relax, and enjoy the show. For everyone's convenience, due to Valentine's Day falling mid-week, this event will be held on Wednesday, 14th February 2018, and repeated on Saturday, 17th February 2018.